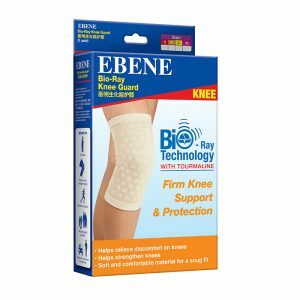 The Ebene Sports Knee Guard with Bio-Ray Technology helps to control knee movement during sporting activities for the ultimate protection. 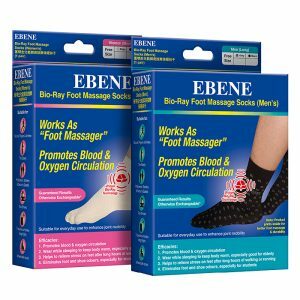 It’s unique technology provides increased blood flow and oxygen circulation around the knee for relaxing the supporting muscles. And improves speed and power to keep the athlete performing without any restrictions. 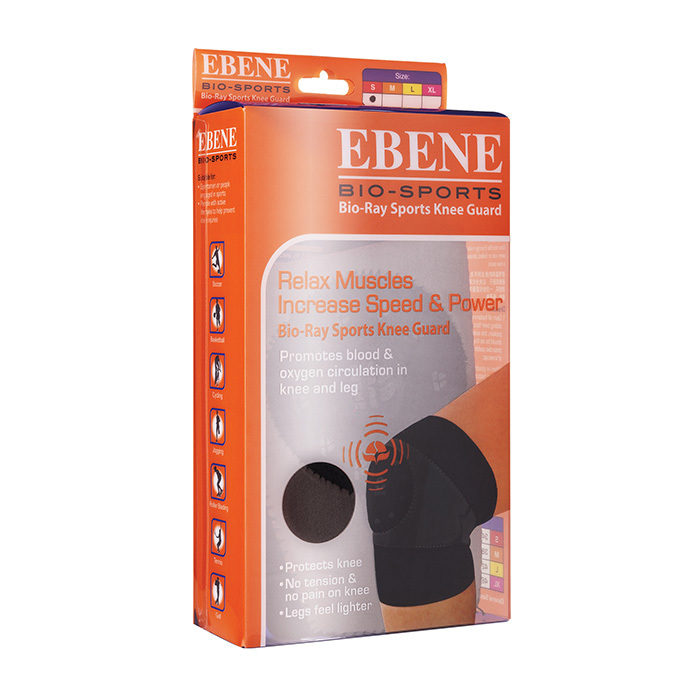 For the active sports men and women, this Ebene knee guard helps to fight against excessive stress and pain to keep energy levels at an optimum during exercise. The material is designed with dry-fit capabilities, gentle compression and a protective padding at the centre of the kneecap, making it an ideal knee support for running, cycling, and other similar activities. 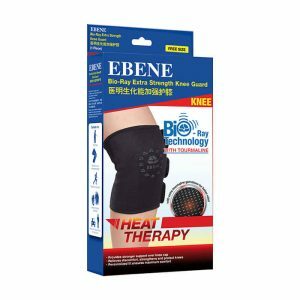 This Ebene knee guard has adjustable straps for a stronger grip and greater pain relief during exercise. Provides lateral stabilization to align and support muscles, tendons & ligaments. Dry-fit material for removing sweat away from the knee to keep it dry and comfortable. Helps to prevent and protect from injuries. Reduced tension allows the leg to feel lighter. Provides a firm hold making it a suitable knee support for running and other vigorous sports. dry and comfortable. People engaged in active lifestyles and sports. Recommended to hand wash with mild detergent, avoid excessive rubbing and squeezing to prevent the removal of Bio-Ray material. Once the materials are worn out or faded, please change to a new piece. Open all fastenings before sliding over foot. The wider opening should be on the thigh and protective padding in centre of kneecap. Fasten top and bottom straps. Ensure fit is snug.